These are such pretty cabs. They are vintage glass from Japan. They feature a primary colored all over flower design. These measure 12mm. You will receive 4 of them. 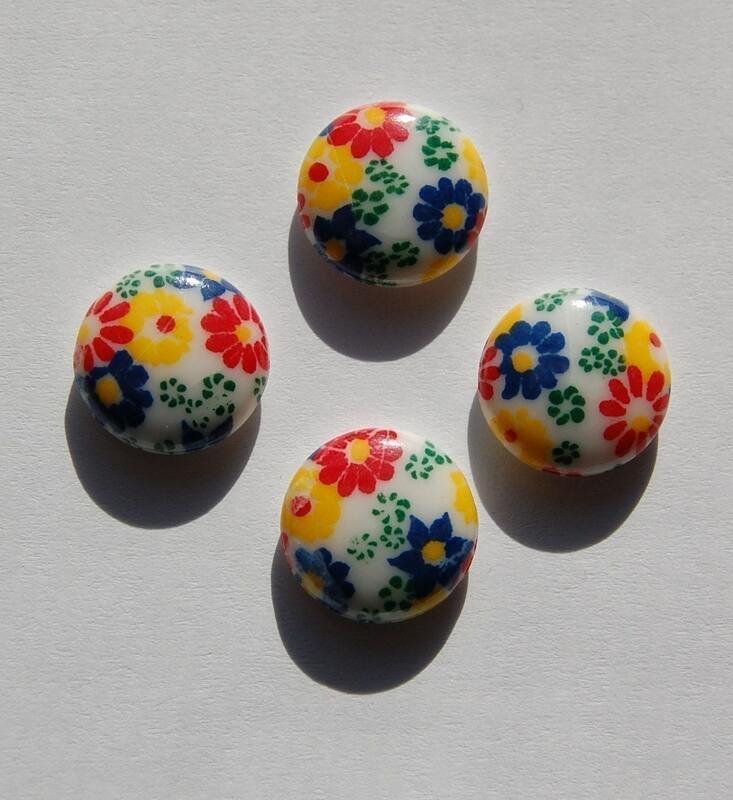 We have several colors and sizes available in this cabochon! Not sure if the ring base suppliers measurements were wrong or if these cabs are a little bit larger than 12mm? Great product otherwise. thanks for great and quick service, much appreciated! love these — thanks so much!